Actors Shahid Kapoor and his 'Haider' co-star Shraddha Kapoor will be the first guests to be a part of Salman Khan-hosted celebrity reality show 'Bigg Boss 7. 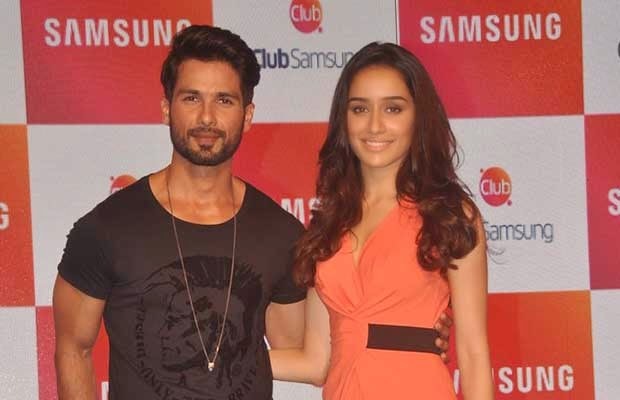 The two will be seen promoting their upcoming film 'Haider' which will hit theatres on October 2. This is not the first time Shahid is appearing on the show. The 33-year-old actor has been part of the show during promotions of his previous films 'Phata Poster Nikhla Hero' and 'R... Rajkumar. Shahid will be seen rooting for 'Bigg Boss' inmate Upen Patel with whom he shared screen in '36 China Town'. Shraddha will be making her first appearance on the show. 'Bigg Boss 7' airs everyday from 9 pm on Colors. "We’re a huge industry on our own. We’re the second largest in the world, in terms of making movies. I think we focus on the audience we’re making our films for. Our sensibilities are very different from Hollywood films. That is why there are very few films that work here as well as internationally," says Shahid Kapoor. The actor adds that people "do a film in India, thinking that it will go to the Oscars. I find it stupid. I have to do a film here for the people in India. I’m not doing my current film because it’s going to get nominated somewhere. I am doing it because I want people in this country to like it," says Shahid. He says that often, parallel cinema hits the jackpot. "Sometimes you see a lot of films that are not considered mainstream and tend to get picked up [for the Oscars] because those film-makers don’t have worries like, ‘How will I make the people of this country like it?’ They make cheaper, smaller and tighter films, and want to experiment with the kind of audience that might like it," says the actor. Bollywood: Director-composer Vishal Bhardwaj has ingeniously infused the flavours of Kashmiri folk songs and instruments while Gulzar has brought in the nuances of Urdu into this film's soundtrack. Vishal Dadlani opens the album with the powerful guitar-driven Aao Na, which has the maker's favourite lyricist, Gulzar's expressions. He has used a rubab and other instruments native of Kashmir for the bouncy Bismil, where the modes and lyrics are set to a stage play. Sukhwinder Singh succeeds here as the singer, like he did in a similar song situation for Bhardwaj's Kaminey. The dark and brooding Jhelum is set to electric guitar and Gulzar's powerfully visual phrases like Jhelum hua kharaa. The composer himself goes behind the mike for this semi-classical one, with elan. Gulon Mein Rang Bhare is a Mehdi Hassan song that Arijit Singh has rendered with conviction, doing justice to late poet Faiz Ahmad Faiz's eternal words. The melodious Do Jahan is an old Kashmiri folk song, with additional lyrics by Gulzar. Playback singer Suresh Wadkar sounds tedious. Shraddha Kapoor's bits are surprisingly refreshing. The stunning Ek Aur Bismil is a reprise of Bismil, with the words and Singh's voice given a makeover that sounds Arabic. Bhardwaj has taken a refrain from Aao Na and turned it into a local worker's song So Jao, with the rustic voices of Bashir Lone, Bashir Bhawani, Muzamil Bhawani. Aaj Ke Naam is another Faiz Ahmad Faiz song brought to life by the composer's music and his wife Rekha Bhardwaj's voice.